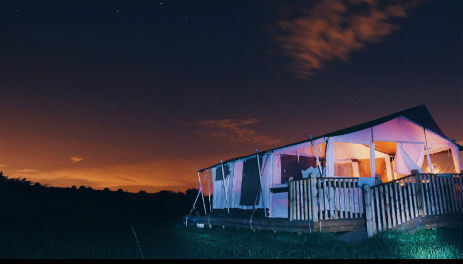 BOOK FOR A MONDAY AND TUESDAY AND GET 2 EXTRA NIGHTS FREE! 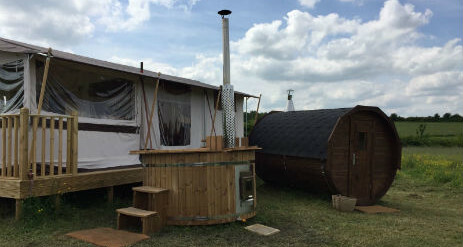 Welcome to Enigma Lodge with private wood fired hot tub and barrel sauna in Denby Village, our glamping site in the heart of rural Derbyshire. 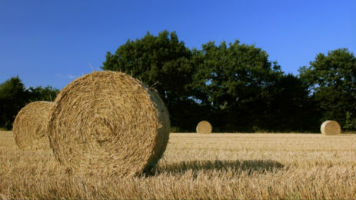 We are a small family farm, that has been in the family for over 100 years. 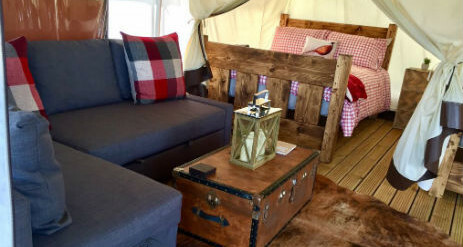 2017 saw the start of our Glamping enterprise here in Denby Village. 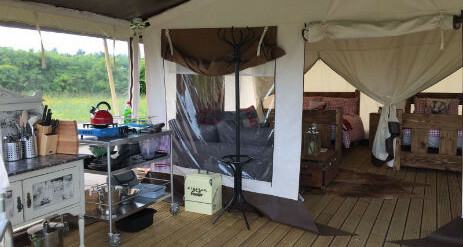 We have 1 Safari Lodge Tent that sleeps 6 people. 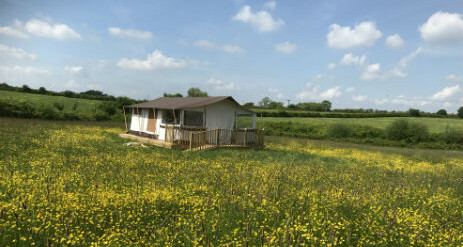 The Lodge is situated in a Wild Flower meadow that over looks our pond and established trees, the Lodge is over 400m away from the main road, so well away from hustle and bustle of life. 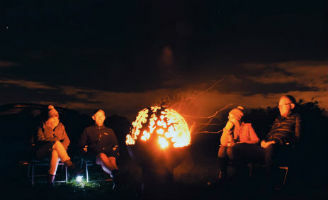 The Farm is over 100 acres in size so plenty of space to explore and roam about in. The Lodge was brand new last year. 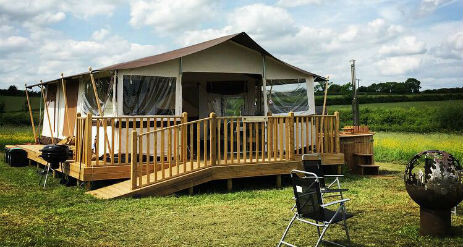 The Lodge is about 350m away from the main farm yard and farm house. 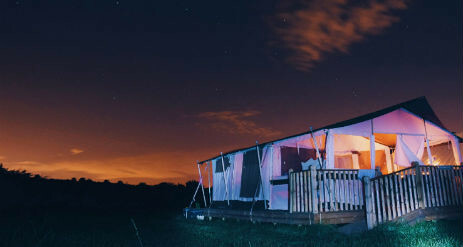 Book to stay Monday and Tuesday and get 2 extra nights (the Wednesday and Thursday) for free!